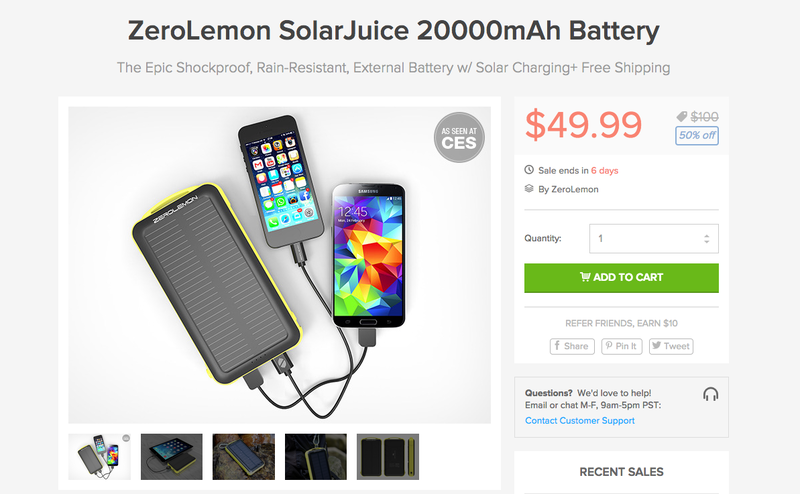 Over the next week through the DL Deals Store, you can pick up a massive 20,000mAh ZeroLemon SolarJuice battery pack for $50, perfect for charging all of your smartphones while you hang out on the beach. Not only can this beast charge your devices, but it integrates a solar panel which allows it to be recharged by any lighting condition. The battery is capable of 1000+ recharge cycles over the course of its life, and features 4 LED indicator lights for displaying charging and discharging processes. If this portable powerhouse interests you, be sure to check it out by following the link below.